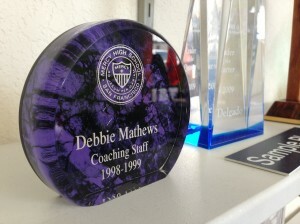 Choose from countless designs to find plaques, crystal, and acrylic awards that meet your needs. Check out our awards database here to explore our product gallery and find a model that works for your team, school, or company. We offer plaques and awards made of different materials including wood, glass, and crystal with various shapes and styles to fit your specifications. We also provide functional awards such as picture frames, paperweights, bowls, name plates, and many more! All of these designs are featured in our database and can be customized to your unique order. With our high quality laser engraving and sublimation equipment we can engrave any design and text to customize your plaques and awards! Contact us today to get your order started – we are happy to help with any questions you may have! Click here to access our plaques and acrylics pricing list. Customize your plaques with unique designs!